Take a woodwind player and the early 80s rhythm section for Peter Gabriel (circa Security), put them together in a cave and you'd be surprised what they come up with! 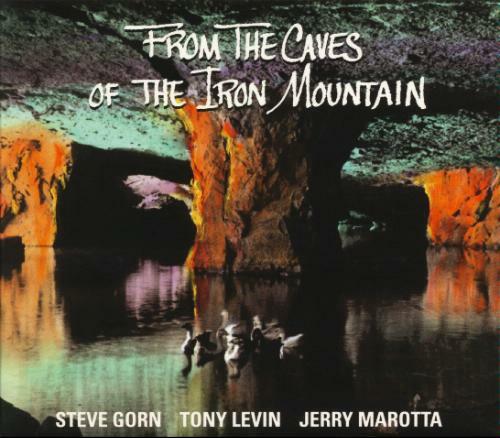 The second release from King Crimson member Tony Levin's label is an adventure in recording within an abandoned mine complete with a lake, some waterfowl, and a crazy sound engineer on a boat! But the disc is simply wonderful. At times it reminds me of the eastern and jazz influences which pervade the music of ECM band Oregon: at times moody and exotic but uplifting. Levin is the not-so-obvious ring leader; his playing is open and resonant on all tracks for his simple fluidity and keen interaction with the other players. Marotta is somewhat subdued most of the disk, having been known as strong kit player and not so much as a percussionist. Nevertheless his sensitivity to the surroundings gives the disk a cavernous depth. The disk also recalls the work of Paul Horn, who recorded albums in the Great Pyramid of Giza and the Taj Mahal, where a distinct ambience was achieved while recording in an exotic location. Exotic instrumentation is used on tracks such as Glass Beads which features the primary wood flute instrument, the bansari. From the Caves comes with an ornate package containing narrative liner notes which complete a list of all instrumentation by Levin. A companion video is available for purchase from papabear.com. In closing, the atmospheric textures created by this sympathetic trio may just have you searching out a deserted cave to experience just how well music can be created and interpreted in a not-so-sterile recording environment.